GoreTex hiking boot, which are great (and sticky). 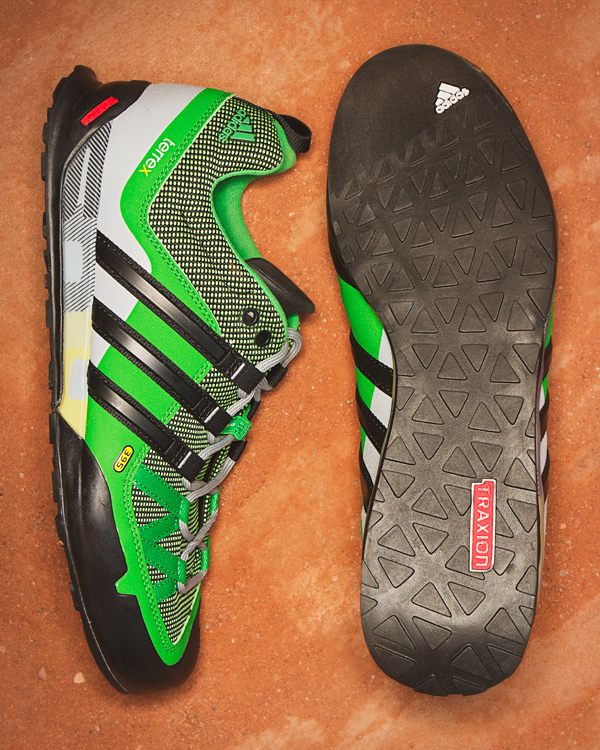 The Solo comes with the Traxion rubber, feels like a runner with a bit of a stiffer sole. You can trust Adidas to make a good, quality shoe. These are no exception.